Since 1907, W.F. Hann & Sons has been distinguished for delivering the most exceptional heating, ventilation, air conditioning and plumbing services to Cleveland and Northeast Ohio businesses and homeowners. With a highly proficient team of professionals, we stand ready to ensure that your home or your office is fully protected and completely operational by safeguarding your AC service from any malfunctioning issues and augmenting its performance in addition to lowering the operational and ownership costs of future AC repair work, additional AC installation requirements and AC service. It goes without saying that on the occasion that our neighbors in Mentor are looking for the finest AC repair, AC installation and AC service, W.F. Hann & Sons is the only name they need to know. Mentor, Ohio is found in Lake County and it has 47,000 residents who call it home. W.F. Hann & Sons is located at 26401 Miles Road, Warrensville Heights, approximately 21 miles south of Mentor. Our NATE (North American Technician Excellence) certified technicians are who Mentor clients turn to when they want an upgrade or a new AC installation or AC service. NATE specialists are renowned for partnering with Mentor businesses and homeowners to tackle all manners of projects. Mentor clients know that the competent professionals at W.F. Hann & Sons will always strive to save them both energy and money. We are dedicated to providing a more beneficial, cleaner and healthier environment, and in not only consistently meeting the expectations of our Mentor customers, but regularly exceeding them. W.F. Hann & Sons possesses sophisticated advanced technology, trustworthy engineering and unparalleled product reliability. We are legendary for appraising our clients’ needs and tailoring the most appropriate AC installation systems to their precise specifications. W.F. Hann & Sons’ customers will always be assured of getting the best possible comfort, efficiency and value to which they are entitled. 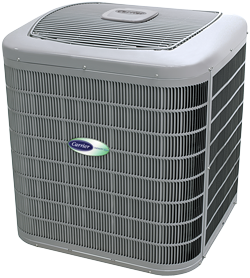 Our AC service contractors are completely factory-trained, fully-insured and licensed in AC repair and AC installation. Our clientele will always be treated with the courtesy and respect they have come to expect from the pros at W.F. Hann & Sons. For the comfort of your home and the smooth operation of your business, you can rely upon our technicians to make sure you will only get the quality workmanship for which W.F. Hann & Sons is famous. To set up an appointment for AC repair, AC installation or AC service, call W.F. Hann & Sons, today, at: (216) 831-4200. We also offer 24-hour emergency services for those unplanned and unexpected situations which demand the expertise of the most highly-skilled technicians.